Nokor Bachey temple is a cultural and historical site. It is located 2.2 kilometers from Kampong Cham provincial town along National Road 7, about 122 kilometers northeast of Phnom Penh. Visitors traveling from Phnom Penh will see the gate to the pagoda on the right. 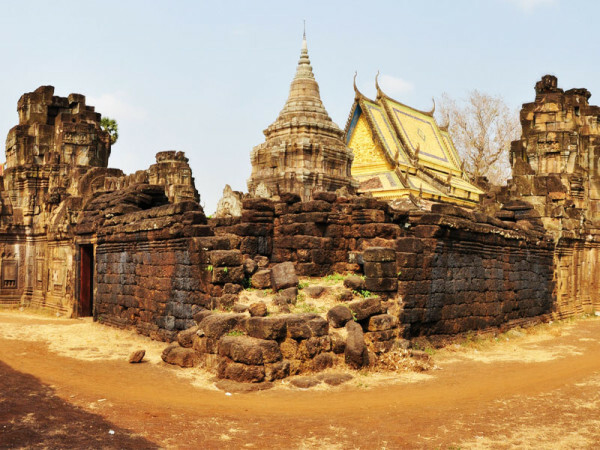 The temple was built in the middle of the 11th century, during the reign of Suryavarman II and King Ouphey dedecating to Brahmanism. The temple is about 200 meters inside the gate. 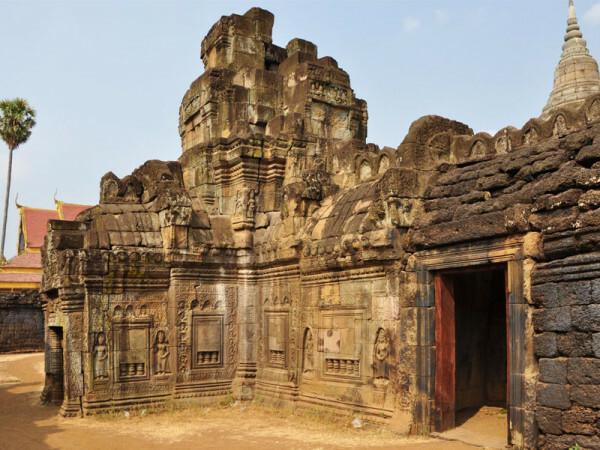 The site is accessibleto almost all types of vehicles.The famous place of Nokor Bachey Temple, Kampong Cham is a wonderful place to visit in the country of Cambodia. 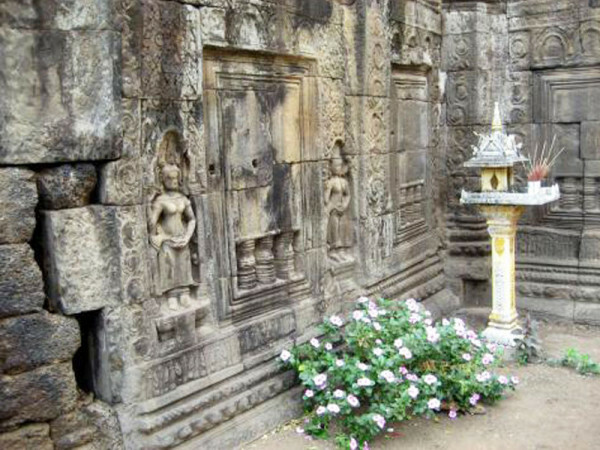 The province of Kampong Cham is brimming with wonderful scenic spots along with several historical monuments. 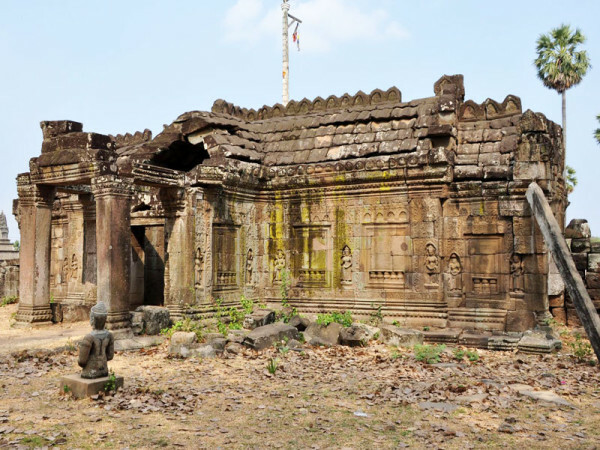 Nokor Bachey Temple, Kampong Cham is one such treasure of the province. The historical spots of this province are ancient and have their own history to narrate. The Nokor Bachey Temple, Kampong Cham can be easily accessed from the provincial town of Kampong Cham. You will have to take the national Road No 7 that links Phnom Penh and Kampong Cham. Any type of vechiles can access the Nokor Bachey Temple in Kampong Cham as it is situated along the national highway. 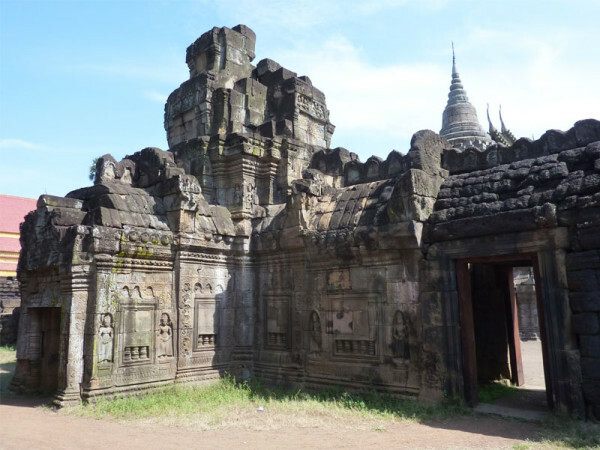 The Nokor Bachey Temple, Kampong Cham can be divided into four distinct buildings that have been named as long buildings. The first long building of Nokor Bachey Temple of Kampong Cham is 421 meters and 371 meters in dimension made of laterite stones. The height is of 9 meters and length is of 2.4 meters. Most part of this building is destroyed over time. Inside this building you will find structures like Six Lions, Eight dragons and two devils. The Second long building is also a beautiful architectural structure that includes two statues of Te Cho Dam Din, two devils each of1.6-metre in height and two ponds, each having the size of 20 meter. 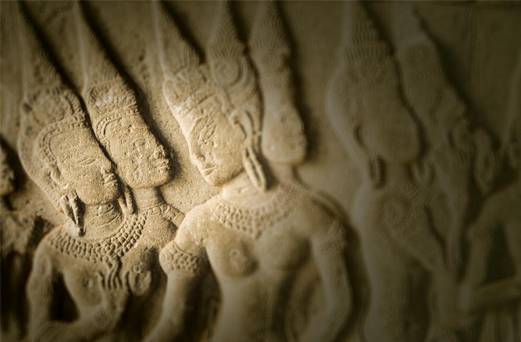 The most significant one is the third long building, where you will find eight-hand statue of Preah Norey located near the entrance. A four-hand statue of Preah Norey is located on the left hand side of the Nokor Bachey Temple, Kampong Cham. Finally comes the fourth long building, which is also made of laterite stone and can be accessed from 12 directions. In the middle of the building you will find a high peak made of sandstone with Buddhist statue. 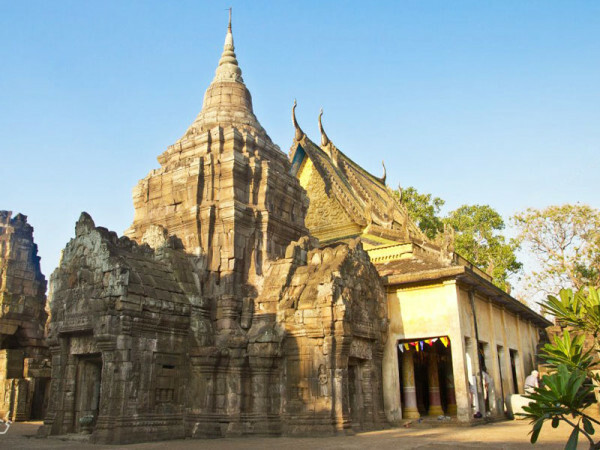 Nokor Bachey Temple is one of the major Tourist Attractions in Kampong Cham.